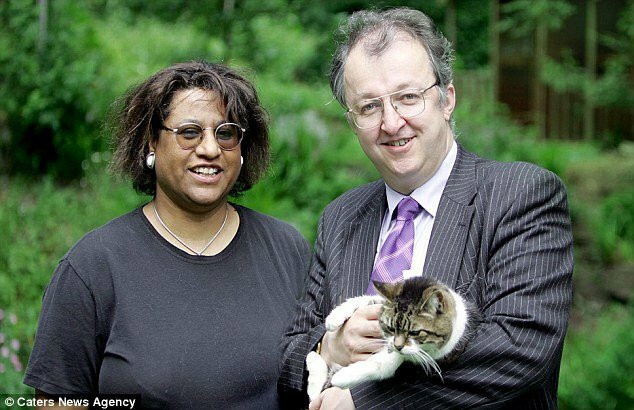 Home Tags Posts tagged with "christine hemmings"
MP John Hemming’s wife stole his mistress’ kitten Beauty. John Hemming, the Liberal Democrat Member of British Parliament has two “homes” in Moseley, a leafy and affluent suburb of Birmingham. Less than a mile separates the two houses, but one is rather grander than the other. The first home is an eight-bedroom, three-bathroom affair and is the residence of Christine Hemming, 53, John Hemming’s wife of nearly 30 years. The couple has three children and six contented cats. The second home, a mere 20-minute walk away, is a modest red-brick semi, inhabited by John Hemming’s 36-year-old mistress, Emily Cox, their five-year-old daughter, Isabel, and a solitary cat, Twinkle. When he is not on parliamentary business in London, John Hemming, the Liberal Democrat MP for Birmingham Yardley spends week nights at Emily Cox before returning to the marital home at weekends. The relationship is, as Emily Cox admits, an “unconventional” set-up and one which has been subject to much tension over the years. But even the most colorful imaginations would struggle to summon the affair’s latest chapter, which unfolded in Birmingham Crown Court this week. MP John Hemming’s wife, Christine Hemming was yesterday found guilty of burgling the home of Emily Cox and stealing a four-month-old kitten called Beauty. The court heard how Christine Hemming crept through Emily Cox’s back door, scooped up the tabby and tootled away with her through the back garden. Beauty has not been seen since, leaving Twinkle as the sole feline in the house. And although Christine Hemming denied the charges, the act was caught on CCTV. In footages bordering on farce, she is seen sneaking around in the shadows of her love rival’s garden. As she passes a window, where a light shines from inside, she gets down on her hands and knees to avoid being spotted. After several minutes, Christine Hemming enters through the unlocked back door, then, she leaves with Beauty, worth £20 ($30), under her left arm. As she walks back to her car, bespectacled Christine Hemming looks up – straight into one of the four cameras installed by Emily Cox. 16 minutes of footage were played to the jury on Friday, the day three of the trial and called “compelling evidence” by prosecutor Jason Pegg. For the past few years, John Hemming has openly divided his living arrangements between the homes of his wife and mistress. They, in turn, have veered from begrudging tolerance to open warfare, with no love lost between the two women. This accusation could be leveled at all parties in this set-up – particularly MP John Hemming, a bespectacled and slightly portly figure who makes for a rather unlikely Casanova. Even now, friends say John Hemming remains a ‘committed flirt”, who likes nothing better than the company of pretty young women. MP John Hemming recently posted footage of himself playing the keyboard alongside a sextet of young female saxophonists at this year’s Liberal Democrat party conference. Billed as “John Hemming And The Sisters Of Jazz”, the MP looks like the cat who got the cream. John Hemming’s wife, Christine is described as more determined than most; in the words of one friend, she “decides what she wants and makes it happen”. This seemed to be the case when it came to her husband, whom she set her cap at more than 30 years ago after reading an article John Hemming had written for the Oxford University magazine Isis in 1981. John Hemming was at Magdalen College studying physics, while Christine pursued her studies in Edinburgh. So impressed was Christine by John Hemming’s weighty rhetoric that she travelled from Scotland to Bridlington to meet her future beau at a student conference where he was speaking. Six months later, the couple was married, John Hemming only 21 and Christine just 23. They settled in Birmingham, where John Hemming started to pursue his political career at a local level, while establishing the software business that would make him a millionaire. 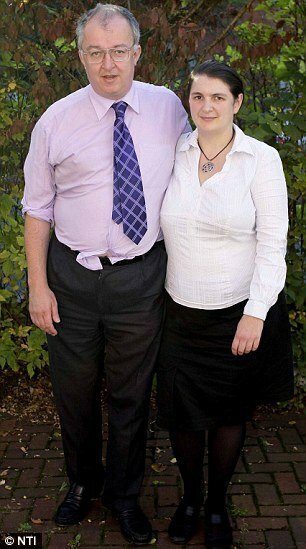 Christine and John Hemming had three children – Marion, 21, Alex, 18, and Alice, 11. Christine worked as John Hemming’s company accountant. By the late ‘80, Christine realized her husband had a roving eye. John Hemming apparently confessed to a number of flings and she agreed to ignore them for the sake of their children. By the ‘90, the strain was too much and Christine served judicial separation papers. In what would soon become a pattern, Christine changed her mind and they decided to try again for the sake of the children. The arrival of the couple’s third child, Alice, in 2000, seemed to herald a period of calm. However, Christine was not to know John Hemming had by then already been romancing Emily Cox. A Devon-born history graduate from Warwick University, Emily Cox was John Hemming’s personal assistant – a position that had become vacant in 2000 after Christine Hemming decided to step back from overseeing her husband’s financial affairs. Initially, Christine was not threatened by her successor, Emily Cox, despite the fact she was staying in the top-floor flat of John Hemming’s £600,000 detached office premises in Birmingham. In 2004, Mrs. Hemming grew suspicious. This time not only was John hemming less forthcoming when she confronted him, but she felt less accepting, too. “At this point we had quite severe arguments about what he was doing,” Christine Hemming said. In 2011, things came to a head when Emily Cox came to “have it out” with her love rival at the family home. Although the police were called, nothing more came of it – unlike last year, when an irate Christine Hemming turned up at Emily Cox’s home. As the latter claimed in her court evidence, Christine Hemming set upon her wielding a pair of garden secateurs and later received a police caution. “She assaulted me and committed criminal damage to my garden, which some of the plants are still recovering from,” Emily Cox claimed. In June 2005 – one month after John Hemming had been elected to parliament for the first time – Christine learned Emily Cox was four months pregnant with her husband’s child. Publicly, at least, Christine remained stoic, implying her rival had entrapped John Hemming and describing the affair as “about number 26” on her errant husband’s list of infidelities. John Hemming said this number had been “plucked out of thin air” by Christine, as it is also the date of her birthday. John Hemming, meanwhile, pledged to stand by both women and “do the right thing”, although this did not preclude him later showing a degree of braggadocio about his activities. At the end of 2005, John Hemming voted for himself in a competition run by tabloid to find the year’s greatest love rat. “People used to think of me as a bit of a geek,” John Hemming declared. Despite such insensitivity, John Hemming’s marriage seemed to be flourishing. In 2008, John Hemming booked a two-week trip to Mauritius for his wife’s 50th birthday – a “second honeymoon”. In 2009, Emily Cox expressed a desire to move out of her top-floor flat, triggering yet more aggravation. John Hemming discussed the dilemma with his wife. Christine Hemming revealed to the jury that after learning that her husband wanted to purchase a small house for Emily Cox, they pored over a local map to identify streets his mistress should avoid, to prevent her having to encounter the mistress. What wife did not know was that John Hemming went on to purchase a £212,000 property for Emily Cox in December 2009, using what Christine called “marital assets’. Either way, in Christine’s view, John Hemming had effectively taken money out of the marital purse to fund his mistress and, after discovering his purchase last summer, she finally asked her husband to move out. “I came to a decision on September 26 – my birthday – that I wanted John to leave,” Christine told the court. Three days later, after a telephone argument with her husband, Christine Hemming arrived at Emily Cox’s home, apparently to deliver some post. What she did instead was make off with Emily Cox’s cat after crawling through the undergrowth of her back garden. Christine Hemming now must wait to find out if she will receive a custodial sentence after the judge adjourned sentencing until October 28. The case went to Crown Court, as magistrates decided earlier this year it was not suitable for summary trial because their sentencing powers are limited to six months. Burglary carries a maximum sentence of 14 years in jail, but sentencing guidelines state the starting point in Christine Hemming’s case will be nine months’ custody. That could be reduced to a conditional discharge or a community sentence.